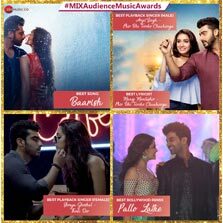 It was a night of celebration for Zee Music Company as it swept away all the leading award categories at the Sony Mix Audience Music Awards. It was raining awards for Zee Music Company with 'Baarish' bagging the Best Song title, 'Phir Bhi Chaahunga' (Manoj Munstashir) winning for Best Lyrics, 'Thodi Der' rendered by Shreya Ghoshal winning the Best Female Playback Singer award and last but not the least, 'Pallo Latke' being awarded the Best Remix trophy. 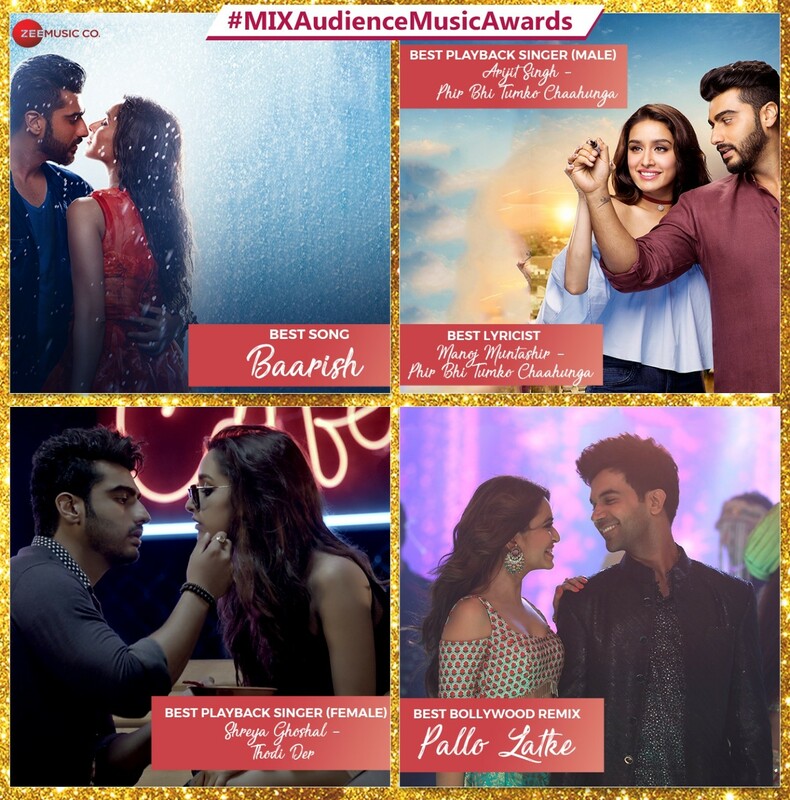 Sony Mix, one of India's leading music channels bestowed Zee Music Company with the awards at the Sony Mix Audience Music Awards. The winner of these awards is decided on the basis of the votes received online from the audience.